Have you ever admired successful people who seem to have it all? They secure the best jobs, build the most profitable businesses, earn the biggest paychecks and date the most attractive people. However, here’s the irony — many of them may not be smarter, more educated or better looking than you. Decades of psychological studies have shown that what truly sets them apart is their personal charisma. But what exactly is charisma? The answer lies in its root word “charis”, which means “gift” or “favour”. Simply put, a charismatic person find favour with people easily. Charismatic people create emotional connections with others naturally. They put others at ease with their sincerity, and attract people with their confidence. They are adept at making small talk and always leave the person feeling like a star after the conversation. But what truly brings them closer to others is their ability to establish common ground quickly, knowing full well that people like people who are like themselves. 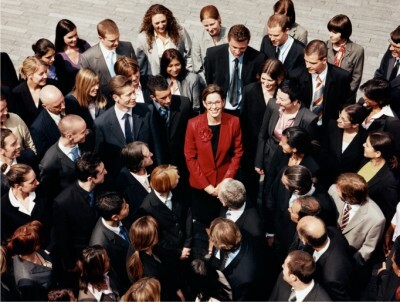 Heads turn when a charismatic person enters the room. People listen when they talk. Even their silence carries weight. They have such an effect on others because they stand in their own power. They do not undermine others, but neither do they let others undermine them. Instead, they see people — regardless of wealth and power — as equals. Unlike many people who are driven by other people’s acceptance or praises, they are driven by their passion and purpose. Charismatic individuals are keenly aware of their strengths that draw people to them, as well as barriers that jeopardise their relationships with others. They are in full control of their state of mind, allowing them to be at their best. They are also sensitive to people’s thoughts and intentions, allowing them to manoeuvre any situation to their advantage. Charismatic people carry a mental image of people walking around with an invisible sign hanging from their necks, saying “Make me feel important!” They obey the sign, thus making them popular. These individuals are slow to criticise yet quick to compliment. They see the best in people and are genuinely interested in the well-being of others. This could be one reason why they seem to brighten up a room whenever they enter. Charismatic people are natural influencers. They possess an empathetic ability that helps them to see something from another person’s perspective, making people particularly receptive to them. They have a flair for words, and make persuasive pitches that tug at the heartstrings of their listeners. But what makes them truly exceptional is their proficiency in using compelling stories, vivid pictures and memorable analogies to get their points across. You can always single out the charismatic individuals in a crowd because they are always doing the unexpected. They dare to be different and are unafraid to stand out. They differentiate themselves by the way they dress, act, and talk. Charismatic people also understand that the easiest way to stand out is to simply be the best at what they do. As a result, they have relentless dedication and determination, and sometimes make sacrifices to remain at the top of their game. Charismatic people constantly seek out mentors, or successful people who have walked a similar path. Whenever they meet someone new, they ask themselves, “What can I learn from this person?” Because of their intense hunger to learn and improve, they enjoy a lot more success than others. Charismatic people prefer to give, rather than take, and they constantly adding value to the people they interact with. To them, the pie is infinitely large and has more than enough for everyone. They firmly believe that you can get all you want in life if you first help others get what they want in life. Their innate generosity draws people to them, like a moth to a flame and bees to honey. Article by Eric Feng, an authority on the topic of charisma. For enquiries, e-mail patricialee@sim.edu.sg or call 6248-9447.